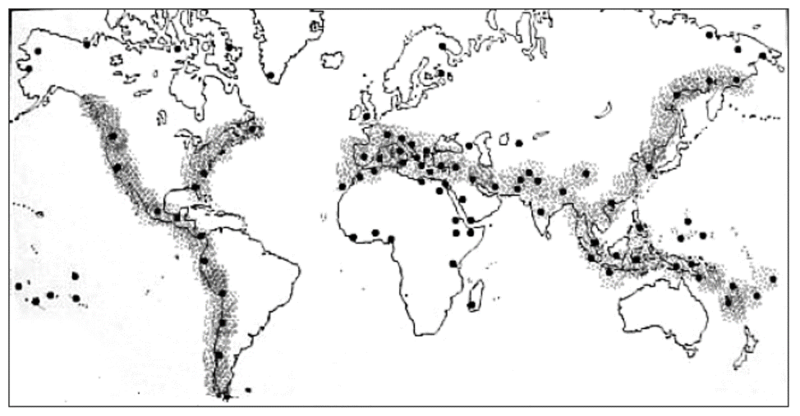 Here is a map of slings and sling related artifacts from archaeological sites around the world. Data from Manfred Korfman. 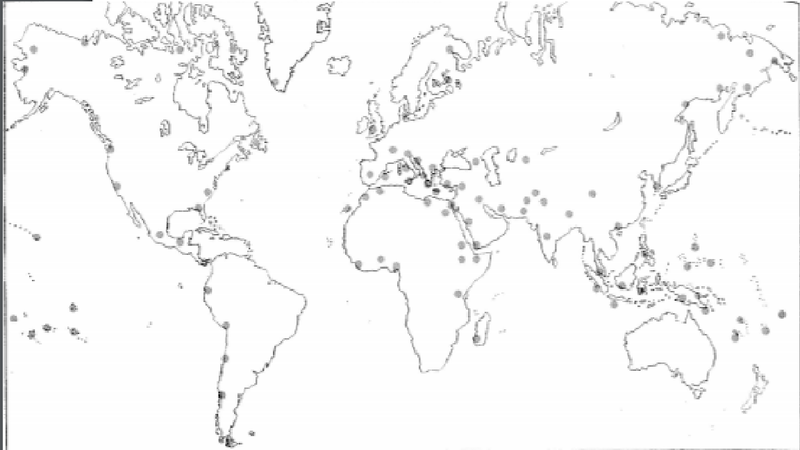 Map created by Eric T. Scov. 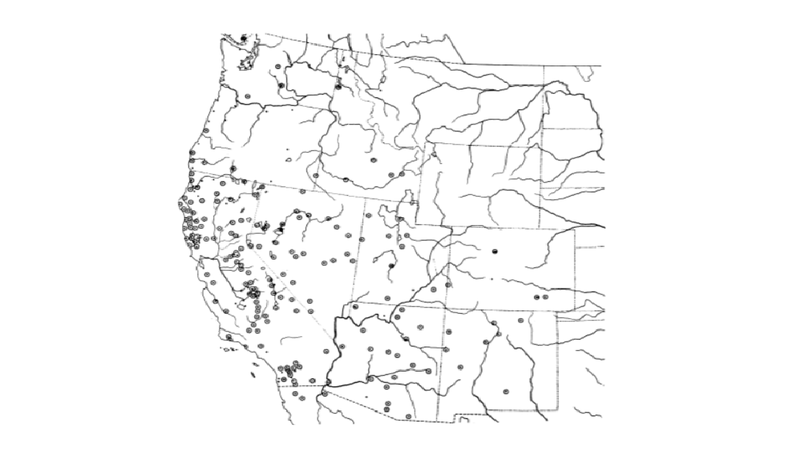 This map is of slings and sling related artifacts from archaeological sites in the Great Basin. 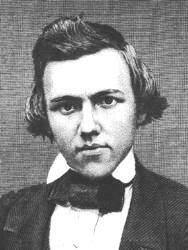 Data from Heizer and Johnson. Map created by Eric T. Scov. Very interesting. I wonder if its possible to correlate these spots with any external features. Such as availability of smooth stones. I wouldnt think theres a 1:1 correlation but it would make sense that the sling would be used more in such areas. Does just go to show that, although the Bealeric Isles get all the fame, the sling really is an international invention. I guess one way to find out would be to use the areas that dont have access to stones as controls and then compare the ratio of access vs lack of access and see if theres any correlation. Ive had an idea about something I call niche weapons for awhile. The idea is basically a study of why certain cultures use certain tools and what niches exist that each tool fills. Most cultures will have similar niches but based on the enviorment will fill those niches with different tools. Everything seems to come down to cost/benefit analysis and the sling is one of the best examples. With exetremely high costs and benefits. Yes, but finding a culture that does not have access to something as simple as stones would be difficult to find. Oceanic peoples and cultures set in far north places covered most of the year by ice might be the closest to a control group, but even they had slings. Many slings have been found in use by Siberian reindeer herders and fishermen, and Filipinos used very long slings. I can not think of a culture that did not use slings, even Bedouin nomads in the Sahara desert made slings to throw rocks when out of the dunes. Your idea about niche weapons though is genius. People will always make inventions to solve problems in their environment. The group down in the Florida pan handle in the first map is pretty rock free. It's basically sand on top of limestone. It is also the area where ducks and geese migrate to on the Atlantic flyway. And while there aren't many stone in the area, there is a lot of high grade clay that you don't have to fire. So, could slings be more for hunting waterfowl in certain areas? 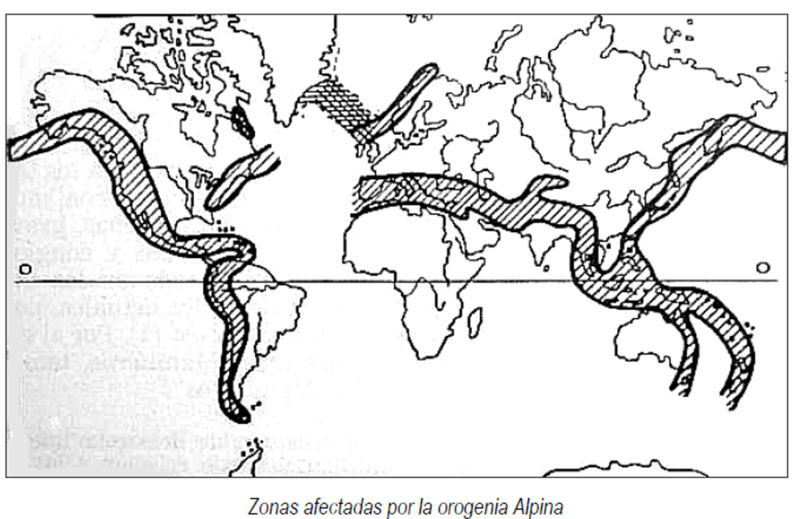 Reading “Historia de la Honda” by Jesús Vega Hernández I found that he discusses those maps and he has de theory that the area with highest concentration of sling-related artifacts / slinging tradition correlates with the Alpine Orogeny from the Tertiary. His point is that the use of sling is highly related with its use as a tool by pastoral societies that live around mountain ranges and highlands. Here we can see two more maps showing the orogeny and the slinging archeological remains. both sling sites and Alpine mountain ranges. Not in N America. Especially not in the eastern seaboard. The only domestic animals in that area were dogs and chickens. And the chickens came up out of Cuba, probably from the Yucatan Western seaboard had dogs, chickens and turkeys. No herd animals. South America had llamas but I'm not sure when they were domesticated or the range. Pretty sure that in N&S America, it was a hunting/warfare type of tool. For that matter, pretty sure most of Polynesia didn't have herd animals. Ah I didn't consider the Americas. Good points. Bill, good point about North America. As for the Andean region, herding was a major activity, very important for their economy and culture, more for the wool than for the meat (even their slings (huaracas) are made out of wool!!!). I learned that South American technology was focused towards textiles: wool, strings, fabric… (they used it to build bridges, tools, of course clothes, and even their written language was about making knots). I would say that for the Andean region the point relating sling use and pastoral society is strong. Regarding Polynesian people… well, I don’t know. They had pigs, chicken, dogs (I think). But I wouldn’t call them “herders”. I actually think that there is also some tendency to the use of the sling by islanders (Mediterranean, Polynesian, even Irish…), but it’s just an impression. For me the general idea is that basically every human society since at least the Neolithic has known the sling and used it to some degree, but there are some economic and ecological aspects (herding, mountain ranges, abrupt terrain, ¿islands?...) that seem to enhance the use of the sling. Except for Australia. They never developed the sling (or it was developed but didn't take off, was imported but then abandoned quickly or some other variation). Again, they didn't have herds so that might have contributed to it not being needed in their society if they had other tools to cover the other uses of a sling. All speculation though.